PayPal is a global name in online payments, but there are plenty of cases where a PayPal alternative is a better choice for business or peer-to-peer payments. Some alternatives to PayPal deliver lower processing fees or faster deposits for businesses. Other PayPal alternatives offer more advanced peer-to-peer payments, like free instant transfers between bank accounts. PayPal is a global brand with payment solutions that cover many bases: online, mobile, in-store payments, online invoicing, and peer-to-peer funds transfers. Only one PayPal alternative, Square, matches most of PayPal’s vast range of capabilities. Most alternatives to PayPal deliver fewer payment solutions, but offer better, faster, or more economical options. Online Sellers and Retail Store Owners – Small businesses need a way to process card payments several ways—in-store, online, and using mobile card readers. Service Providers – Business and individual service providers can benefit from mobile credit card readers, online invoicing, and peer-to-peer payments. Individuals – Friends, family, and acquaintances need a simple, free way to send and receive money online or via app. Ease of Use – These PayPal alternatives offer intuitive online, in-store, and mobile app payment management options. Cost – Our top picks meet or beat PayPal’s competitive payment processing rates—and support free peer-to-peer payments. Online Payments – Online payment alternatives to PayPal deliver secure ecommerce payment processing at competitive rates. Mobile Payments – Several PayPal alternatives offer better mobile payment processing and credit card readers than PayPal delivers. In-store Payments – Several alternatives to PayPal offer full retail point-of-sale (POS) systems with inventory and business management features that top PayPal’s free POS. Invoicing and Recurring Payments – Some PayPal alternatives offer more economical solutions for businesses that use online invoicing and recurring payments. Direct Peer-to-Peer Payments – PayPal peer-to-peer payments are simple and secure, but several PayPal alternatives are gaining popularity. Accepting PayPal Payments – There are many ways to accept PayPal Payments alongside other payment solutions. Overall, Square is our top recommended PayPal alternative for both business and personal payments. It’s the closest match to PayPal in a point-by-point comparison, plus it beats PayPal on many factors important to startups and growing businesses. For example, Square’s free retail POS system, business management tools, and mobile payments options obliterate PayPal’s rather basic offering. Square is the best overall PayPal alternative for retailers, online sellers, and personal payments. It matches most of PayPal’s capabilities and, in many instances, exceeds them. Square delivers a better retail POS system and better mobile payments than PayPal, plus it has no monthly fees. PayPal charges $40 per month for access to all payment tools. Square’s payment processing fees are competitive with PayPal. Both charge 2.9% + 30¢ per online sale, but for mobile and in-store sales, Square’s 2.75% is slightly more than PayPal’s 2.7% fee. However, Square gives you all payment features for free—including virtual terminal and recurring payments. PayPal charges $40 per month for these features. PayPal offers some reduced payment processing rates for certain users, which Square doesn’t match. For example, nonprofits can qualify for 2.2% + 30 cent fees for online sales or donations via PayPal. However, the services and fees above apply to the majority of users. For an in-depth comparison of these two payment giants, read our Square vs. PayPal review. Like PayPal, all-in-one payment processing is the core of Square service. However, unlike PayPal, Square’s online, in-store, and mobile sales and payments are all managed within a single free account. To start a new payment method in Square, like setting up recurring payments, you simply start doing it. In contrast, PayPal requires upgrades to paid accounts and feature add-ons (some with fees) to equal all that Square delivers in a free account. Square also is very focused on helping startups, independent sellers, small retailers, and multichannel businesses run smoothly. Unlike PayPal, Square delivers a complete retail POS solution that includes powerful store, inventory, and sales management software, plus built-in marketing, loyalty, and online sales tools. Learn all that Square offers small businesses in our Square features and fees review. Ease of Use ✔ Square’s streamlined payment and business management system is simpler than managing PayPal’s add-ons. Online Payments ✔ Square integrates with most top-rated ecommerce platforms and includes a free Square online store with every account. Mobile Payments ✔ Square offers sleeker mobile credit card readers and accepts payments in offline mode, unlike PayPal. In-store Payments ✔ Square’s free POS system delivers a complete business management solution, unlike PayPal’s basic mobile POS. Invoicing & Recurring Payments ✔ Square supports all for free. PayPal offers invoicing for free, but adding recurring payments is $40 per month. Direct Peer-to-Peer Payments ✔ Square lets anyone make peer-to-peer payments using debit cards—no Square account needed. PayPal requires both sides have PayPal accounts, but supports credit card, bank, and PayPal Payments, too. Accepting PayPal Payments Square does not accept PayPal Payments. However, if you use Square for your website payments, most ecommerce platforms let you add PayPal Express Checkout to accept PayPal payments outside of Square. Square doesn’t accept PayPal Payments, but you can set up a separate free PayPal account if you need that option to accept online or peer-to-peer PayPal payments. Also, Square’s recurring payments feature is limited compared to PayPal’s robust recurring payment capabilities. If you need this for online subscription sales or online memberships, PayPal’s $40 monthly fee can be worth the cost. Learn more in our review of recurring payment providers. In user reviews, individual sellers, startups, and small businesses all tout the many free perks and ease of using Square to sell anywhere their business takes them. Dissatisfied users note account holds and problems with chargebacks, which is not uncommon with any payment processing service. See what real-world users have to say in our Square user reviews. If Square sounds like the best PayPal alternative for your business or peer-to-peer payment needs, open a free Square account today. There are no free trials and no startup, monthly, or cancellation fees—it’s absolutely risk-free. Sign up for a free account today. FattMerchant is a PayPal alternative offering substantial savings on credit card processing when you reach about $20,000 in monthly sales. Ecommerce sellers, retailers, mobile sellers, and businesses using online invoicing and recurring payments can use FattMerchant. However, it’s important to run the math first—FattMerchant charges a $99 monthly account fee for each payment type. FattMerchant is an economical alternative to PayPal for businesses processing around $20,000 in credit cards per month. FattMerchant’s unique fee structure pairs high monthly account fees with the low base interchange rates that credit card providers charge. FattMerchant doesn’t mark up this interchange fee—you just pay interchange plus FattMerchant’s monthly and small per-transaction fees. *If you need more than one payment account, FattMerchant reps offer multi-account discounts at sign-up. Running the numbers is the best way to decide if FattMerchant is the best alternative to PayPal for your business. To do this, you need to know a bit about base interchange rates, which are the base fees that credit card issuers charge processors to clear payments. 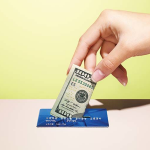 Most credit card processors—PayPal, Square, Stripe, and traditional merchant accounts—make their money by marking up interchange fees. FattMerchant doesn’t work this way. Instead, they charge monthly and just add a small per-transaction fee to the base interchange charge. At around $20,000 in monthly sales, we’ve found FattMerchant to be the more economical choice over PayPal and other all-in-one solutions. However, if you need to accept payments many ways—via an in-store POS, online, and using mobile card readers or online invoicing, FattMerchant requires a separate subscription—with monthly fees—for each. Taking the numbers above, if that $20,000 total was split between online, in-store, and mobile card reader sales, you’re looking at $298 in monthly fees for three FattMerchant accounts! That’s when PayPal or Square can save a small multichannel seller money. However, FattMerchant does offer combined account discounts at sign-up, and as you grow, the savings from FattMerchant’s base interchange fee structure become more substantial. To decide if FattMerchant is the best PayPal alternative for your credit card processing, simply run the numbers as we did above. FattMerchant offers a full range of payment processing solutions that make it a very viable alternative to PayPal—especially for multichannel sellers. What’s more, it offers the best customer service of any provider on our list. We received responses to queries in minutes, and you can speak to an account rep via phone, email, or online chat. Ease of Use ✔ FattMerchant lets you manage all payment accounts within an intuitive, centralized dashboard. Online Payments ✔ FattMerchant integrates with top ecommerce platforms, plus offers custom integrations and API connectivity. Mobile Payments ✔ Mobile card readers are available with mobile accounts. 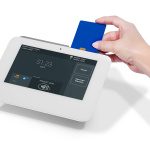 In-store Payments ✔ FattMerchant connects to EMV “smart” credit card terminals and offers POS system integrations. Invoicing & Recurring Payments ✔ These features are enabled via FattMerchant’s virtual terminal account. Direct Peer-to-Peer Payments Not supported. Accepting PayPal Payments FattMerchant does not accept PayPal Payments. You can add a PayPal Express Checkout to your site and accept PayPal payments alongside FattMerchant. FattMerchant doesn’t support peer-to-peer payments, so it’s not the right PayPal alternative if that’s what you’re looking for. Beyond that, there’s little missing from FattMerchant’s well-rounded suite of payment processing services. Love is the word that comes to mind when looking at user comments. Once you understand the fee structure, FattMerchant is an extremely economical solution for many small but growing businesses. Occasional comments pop up about processing delays, but that’s never 100% with any processor. FattMerchant’s excellent customer service apparently smooth over issues quickly. See what real-world users say in our FattMerchant reviews. If you’re ready to explore saving opportunities with FattMerchant, simply visit the FattMerchant website and sign up for an account set-up call. If you think you’ll need more than one type of account, ask about that in your call and your rep will offer you a combined account discount. There’s no risk or strings attached and you can cancel at any time, so give FattMerchant a try today. Shopify Payments is the natural PayPal alternative for businesses that use Shopify for online sales or ecommerce businesses needing a solution for both online and in-person sales. With Shopify Payments, you avoid Shopify’s per-order transaction fee on online orders, saving you between .5% and 2% on online sales compared to using PayPal. Plus you can accept payments via mobile card readers or using Shopify’s in-store retail POS system. In services and fees, Shopify Payments competes with PayPal, Square, and Stripe. Online payment fees are 2.9% + 30¢ for users on Shopify’s base plan, and drop to 2.4% + 30¢ at the highest plan level. Likewise, Shopify POS and mobile payment fees range from 2.7% to 2.4%, depending on your Shopify plan. Shopify’s per-order platform transaction fee is a bit archaic, but they add this fee for any sale that’s processed using an outside payment service. If you don’t use Shopify Payments, you’ll be assessed an added 2%, 1%, or .5% fee per sale, depending on your plan. Shopify uses this add-on fee to entice sellers to Shopify Payments, but in truth, it’s a very economical PayPal alternative that delivers a lot of perks. Shopify Payments doesn’t match all of PayPal’s payment processing services. Recurring payments require third-party add-ons with added costs and there are no peer-to-peer payment features. However, Shopify Payments is an economical PayPal alternative for Shopify stores. Shopify Payments is designed to help Shopify sellers sell everywhere, and is a sound PayPal alternative in terms of supporting many types of payments. In fact, it’s more like Square than PayPal since it ties your online, mobile, and in-store sales within one streamlined system and delivers robust retail POS features. However, in a point-by-point comparison, it just doesn’t do quite as much as PayPal and its top competitor, Square. Ease of Use ✔ Shopify Payments is seamlessly built into your Shopify account and enabled with one click. Online Payments ✔ Shopify Payments is built into your Shopify ecommerce platform. Mobile Payments ✔ Shopify Payments offers a range of mobile credit card readers to accept credit cards in-person. In-store Payments ✔ Shopify POS is a free feature of every Shopify account and lets you accept payments in-store, and connect in-store and online sales in one system. Invoicing & Recurring Payments Requires third-party apps with added costs. Direct Peer-to-Peer Payments Not supported by Shopify Payments. Accepting PayPal Payments Shopify Payments does not accept PayPal Payments. However, you can PayPal to Shopify in one click and offer shoppers a PayPal Payment option. These sales will incur the added per-order platform transaction fee. Like all other PayPal alternatives, Shopify Payments doesn’t accept PayPal Payments. For this, you’ll need to add PayPal to your Shopify account, which takes just one click. However, Shopify will add its platform transaction fee to any order paid via PayPal. Since PayPal is so popular for online payments, most online sellers just consider that the cost of attracting added sales. Shopify Payments also falls short as a PayPal alternative in invoicing, recurring payments, and peer-to-peer payments. Since it’s really designed as a multichannel online, in-store, and mobile payment solution for Shopify users, these features aren’t missed by most. Shopify has a true fan following, and the majority of users love Shopify for all of its built-in multichannel selling features. Shopify Payments is well received, too. Naturally, some sellers grumble over the per-order fee ploy that makes other payment processors more costly to use on Shopify. However, its ease, competitive fees, and all-in-one payment features make it a convenient and economical choice for most Shopify sellers. See what real-world users have to say in our Shopify user reviews. If you’re just getting started with Shopify, Shopify Payments can be set up in one click in your store setup wizard. If you’re a Shopify user, Shopify Payments can be found under “Payments” in the store settings of your Shopify store. Try Shopify’s free 14-day trial to see Shopify Payments in action. Stripe is a leading alternative to PayPal for online and mobile in-app payments. Stripe doesn’t match PayPal in certain areas, like mobile credit card readers or peer-to-peer payments. However, it tops PayPal with highly customizable online and app-based mobile commerce payment solutions—and for global online payments. Stripe has no account fees and, like PayPal, Square, and other all-in-one payment solutions, offers simple-to-understand payment processing fees. Stripe charges 2.9% + 30¢ per transaction to process credit cards, which matches PayPal’s online fees. Stripe also lets you accept eCheck and ACH payments for a low 0.8% fee—something PayPal doesn’t support. *Not built-in features, requires a third-party integration, equipment, and added costs. Stripe is a powerhouse in the world of online payments, but it doesn’t offer a range of fees for different types of transactions like PayPal, Square, and Shopify Payments. You won’t get lower processing fees on in-person payments with Stripe—plus you’ll need outside services to enable this functionality. Because of this, Stripe is a top PayPal alternative for online payments, but not for combining in-store, mobile, and online payments in one solution. For this, Square is the best alternative to PayPal. Stripe also excels in global payment processing for international sellers. It accepts many international payment methods and adds just a 1% processing fee to its usual 2.9% + 30¢ fee for international sales—or 2% if conversion fees apply. So you’ll pay just 3.9% to 4.9% + 30¢ to process international payments with Stripe. This is quite competitive with (and more predictable than) PayPal’s 4.4% + varying currency-based, per-transaction fee. Stripe is a sleek, secure, top-rated online payment solution that integrates with virtually all ecommerce platforms. It’s ideal for all types of online sales and for managing recurring payments for subscription-based businesses and membership sites. Stripe also supports in-app payments for mobile commerce and lets users build simple form-based checkout pages and pop-up windows. Ease of Use ✔ Stripe connects to most top-rated ecommerce platforms in one click. Custom checkouts require some technical skill. Online Payments ✔ Stripe is a leader in ecommerce payments, custom checkout pages, and in-app mobile commerce payments. Mobile Payments Not built-in, requires a third-party solution. In-store Payments Not built-in, requires a third-party solution or POS integration. Invoicing & Recurring Payments ✔ Included in Stripe's free account. PayPal charges $40 per month to access recurring payments. Accepting PayPal Payments Stripe does not accept PayPal Payments. You can add a PayPal Express Checkout to most ecommerce platforms and accept PayPal payments outside of Stripe. Stripe doesn’t deliver the all-in-one multichannel online, in-store, and mobile sales solution that Square, Shopify, and PayPal deliver. Stripe also doesn’t support peer-to-peer payments, but that’s not its purpose. Stripe is an excellent alternative to PayPal for online sellers and mobile commerce businesses that need a secure, highly customizable online payment solution for ecommerce sales, memberships, and subscription management. Stripe has mixed reviews, mainly because it offers no personal assistance whatsoever. It’s up to you to figure out Stripe if you’re using it for a custom solution. And if you encounter processing problems, assistance can be slow. However, users love Stripe’s custom capabilities since they can add sleek, secure checkouts to sites and apps. See what real-world users have to say in our Stripe user reviews. If Stripe’s extensive ecommerce or subscription payment features sound like a good fit for your business, you can add Stripe to most ecommerce platforms in a few clicks. You’ll find Stripe in the Payment Settings on most ecommerce store management dashboards, or you can sign up by visiting their website. Venmo accounts are free, and sending money via a debit card or a bank account is free. If you use your credit card to fund payments, Venmo charges 3% of the amount sent. Businesses that use Braintree (a PayPal company) for payment processing can accept Venmo payments from customers at PayPal’s usual 2.9% + 30¢ fee. Clearly, Venmo is not a PayPal alternative for businesses looking to accept credit card payments. Rather, Venmo is an alternative to PayPal for peer-to-peer payments. Here, it beats PayPal’s 2.9% + 30¢ per transaction fee if you use debit cards to fund payments. It’s important to note that Venmo is designed to be used among friends to reimburse meals, rent, and easily share or split payments. Unlike PayPal, Square, and other PayPal alternatives, Venmo does not offer any buyer or seller protection—it’s best to avoid payments to people you don’t know. Venmo is a pretty simple peer-to-peer payment solution. You install the app on your mobile device, connect your debit, credit, or bank account, and send payments to other Venmo users. Typically, funds arrive and can be withdrawn within one business day, but you can pay a 25¢ fee for instant transfers. You can also use Venmo to share recent purchases via social media, which makes it a popular app among millennials. Ease of Use ✔ App-based peer-to-peer payments takes just minutes to set up and start transferring funds. Direct Peer-to-Peer Payments ✔ This is the primary function of Venmo, and it’s a free alternative to PayPal for debit card-based payments. Business Payments ✔ Businesses that use Braintree Payments (a PayPal company) can accept Venmo payments and even let shoppers split tabs and purchases. Request Payments ✔ You can send a payment request to another Venmo user to remind a friend about funds owed. Some startups and informal businesses use this feature to collect payments from clients. Venmo isn’t an official business payment solution. However, many solopreneurs and independent service providers use the “Request Money” feature to collect payments from customers and clients—much like PayPal’s funds request option. Plus, businesses that use Braintree payment processing can offer Venmo as a payment option. This is handy since Venmo allows multiple customers to split bar tabs, restaurant checks, and other purchases at checkout. As a peer-to-peer payment solution, Venmo clearly delivers what users want, as is proven by its meteoric popularity. Compared to the complete business payments solutions on this list, Venmo doesn’t compete in processing online, mobile, or in-store payments. Also, the “Request Money” feature that some businesses use doesn’t have any invoicing tools attached to it, unlike PayPal and Square. Venmo has a serious fan base—so much so that “Venmo me” is fast becoming part of the millennial lexicon. In iTunes, the Venmo app holds a strong 4.9 out of 5-star rating, with more than four million reviews on record. That’s about the best user rating and overall performance of any mobile app out there. Venmo is a mobile app that works on iOS and Android mobile devices. To get started with Venmo, simply visit your iTunes, Android, or Google App Store on your device and download the Venmo app for free. You can also sign up for Venmo and complete payments via computer. Get started with Venmo today. Zelle is a peer-to-peer payments alternative to PayPal and similar to Venmo. In fact, it’s Venmo’s fastest-growing competitor. Zelle enables free, instant payment transfers between bank accounts, effectively replacing checks, ACH payments, and wire transfers. Its current focus is personal peer-to-peer payments, but is exploring business payment opportunities in 2019. Zelle accounts are free and there are no funds transfer fees. Zelle connects to bank accounts and debit cards (you can’t use a credit card to fund Zelle payments—thus no credit card fees, unlike PayPal). Zelle integrates with a many major banks—most support Zelle for free, but it’s best to check with your bank. Zelle’s peer-to-peer payment app is backed by major banks, including JP Morgan Chase, Bank of America, and many others. It its app-based instant bank transfers are intended for personal use. However, small service providers and solopreneurs are already using it to receive payments from clients they know and trust. Zelle’s backers realize this, and while there’s not a formal business payment solution at this time, 2019 might see one roll out. As a PayPal alternative, Zelle is a contender in peer-to-peer payments and might soon rival PayPal in business solutions. Ease of Use ✔ App-based peer-to-peer payments lets you connect to your bank via Zelle or your bank’s integrated app. If your bank is not yet integrated, you can use Zelle with your debit card. Business Payments Not supported, but are being explored in 2019. Direct Peer-to-Peer Payments ✔ Zelle enables instant direct bank account transfers with no wait period or withdrawal delays. Request Payments ✔ You can use Zelle to request payments. Users need to sign up for the Zelle app to send funds from their bank or debit cards. Unlike Venmo and PayPal, Zelle doesn’t let you send funds using your credit card. You must connect your bank account or debit card to Zelle to send or receive money. Also, there are no formal business payment solutions, but this is being considered for 2019. As a PayPal alternative, Zelle primarily beats other peer-to-peer options with free, instant bank transfers. Zelle is only about a year old, so it doesn’t have a huge following compared to Venmo. However, iTunes reviews give it a healthy 4.6 out of 5-star rating, with more than 43,000 reviews. That’s a big vote of confidence and proof that Zelle is a notable alternative to PayPal for peer-to-peer payments. Like Venmo, Zelle works on iOS and Android mobile devices. To get started with Zelle, visit your iTunes, Android, or Google App Store and download the Zelle app. You’ll be asked about your bank and if it’s an integrated partner, you’ll be directed to your bank’s Zelle app integration option. The best PayPal alternative for your business depends on your payment management needs. Business that process credit card payments should check out Square, Stripe, Shopify Payments, and FattMerchant when looking for alternatives to PayPal. Of these, Square is our recommended PayPal alternative for small businesses. It’s the closest match to all of PayPal’s multichannel sales and payment processing features. Plus it beats PayPal in several areas, like a full-featured POS system and free online store. To see all that Square can do for your business, open your free Square account today. Thanks for your feedback Reginald.